Many of us rely on a scheduled extract refresh to update our vizzes. And when a refresh fails without notice, we might unknowingly base our decisions on stale data. 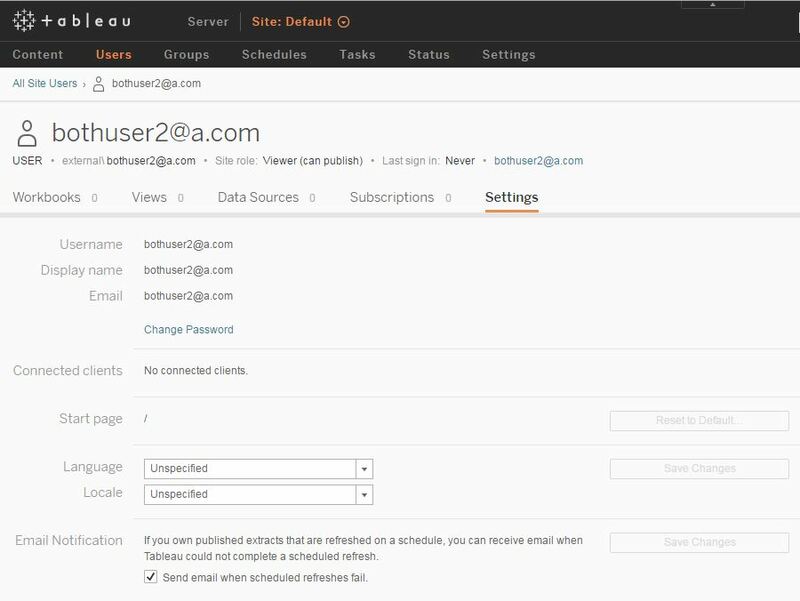 Tableau Server 10 includes an email-notification feature. It alerts all affected parties when a failure occurs, and suggests a fix for that failure. Both the owner of the published data source as well as the owners of published workbooks containing that data source will be notified. User: Users can turn off email notifications for the site they are working in on their user-properties page. Look for the checkbox under “email notification" (see example below). This user-properties page shows the email-notification section and the checkbox to turn it off. We hope you find this feature helpful, and we’d love your feedback. Please join the beta program and let us know what you think. So exciting! Thanks. Any news of when/whether this will be rolled out to Tableau Online as well? Great question Amy - this feature was rolled out to Tableau Online beta this afternoon (June 20). We're excited too! By default, the datasource or workbook owner will receive 5 emails before the emails stop (after 5 consecutive failures). Nice! This is what we were waiting for in one of our client sites! I am not able to see the Email Notification checkbox in User Settings page. Even I am not able to Subscribe other users with the option. 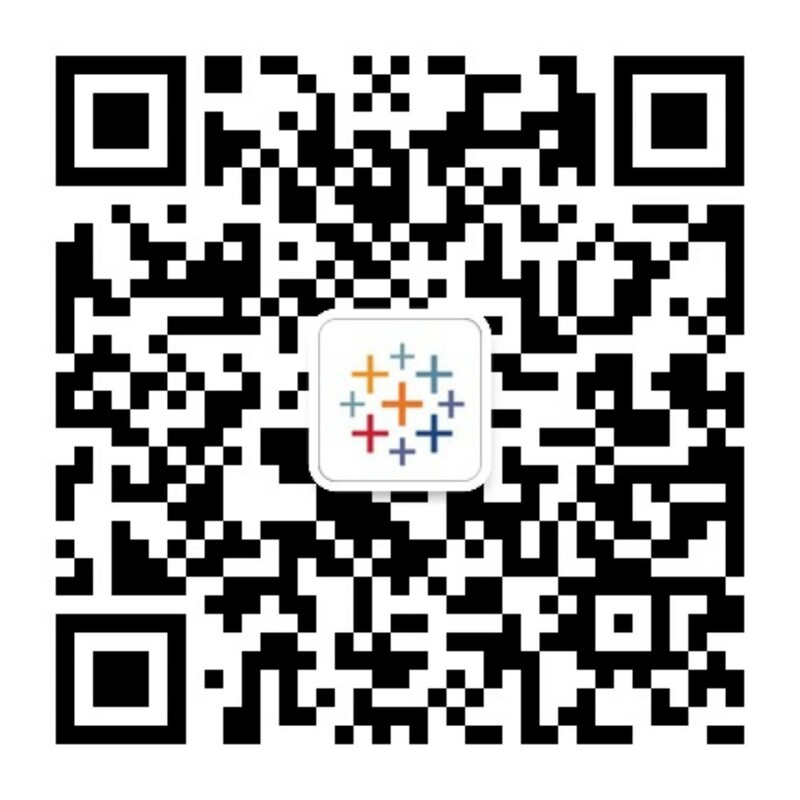 When I click on Add User link and enter email address, Ok button is always disabled. Thank you for the feedback Saurabh. We have noticed that a few of the default configuration settings required for the feature described in this article are not being set correctly. I'll attempt to find your email address to follow up via email on the other two items you mention. Can users subscribe to any workbook for the email notification? or only workbooks/dashboards they published themselves? 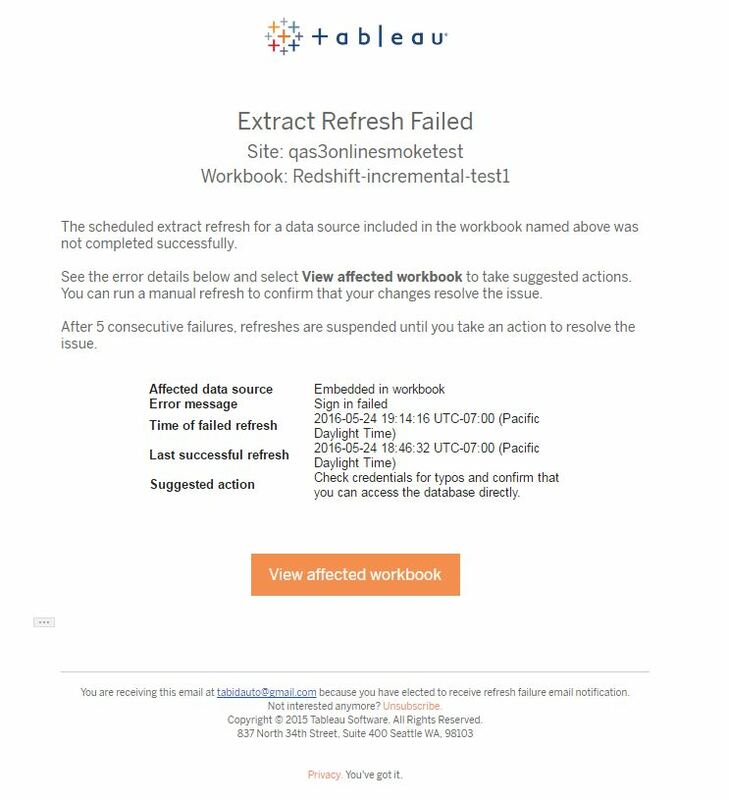 Hi Erica, The first version of this feature sends the failure notification to workbook or datasource owners only. The team are working on another improvement to allow others to receive the failure notifications. Hi Scott, following up on Erica question..When can we expect the improved version of this feature? Any idea ? This feature while useful for alerting users to failures is severely restricted in the sense that it only reports generic error messages and doesn't give the complete error message. Can you update this feature so that it actually sends the complete error message in the email to help end users more. Great feature but we want to direct the emails to people/groups other than the owners. We could send an email to the service desk to create a support ticket. At the very least, an alert needs to go to an entire support group and not just an individual. for example - I am tableau admin and I want all extract failure notification.